A native of New Zealand, now based in London, Lisse can be found performing on both fronts. Organic folk mingles with edgy punk as Lisse sets insights to music. The personal quality of her singing suggests that she shares these stories from her own diary. It’s summer, again. Bright morning light. Lonely warm days. Scaled back activities and too much time to myself. Hanging on every word you’ve said tonight. So much time to think when there’s nothing much to do. I think that things could stay this way, if only I could remember your face. I’m with you all the way, but are you with me? Raise me, won’t you? Lift me up to where you’d like me to be. Allow me to see the glory of the plans you’ve laid out for us. The two of us together always. Don’t you wish that it would stay this way, stay the same? Are you annoyed that I haven’t yet changed the way you’d hoped? Are you confused by my growing pains? Are you afraid I’ll outgrow you all together? What you see is what you get. And I can only stretch so far. “Stay this way. Stay the same. Don’t ever change. Always be yourself, no matter what.” That’s what they say. But will you change for me? For us? Will you adjust to what I need from you today? I can only bend so far. Hear “Raise Me” from Listen Lisse’s ‘Bow Bang’ album. 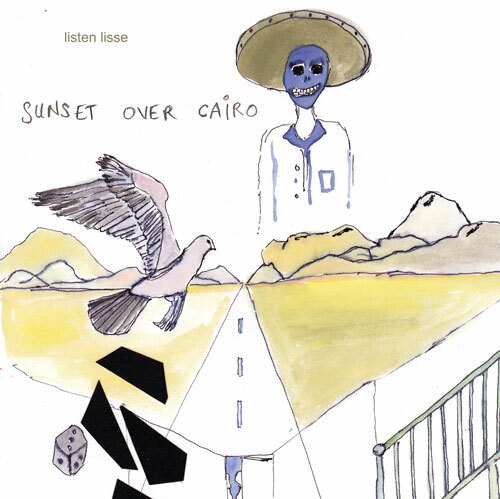 Her upcoming release, ‘Sunset Over Cairo’ is due out this month. What do you hope will stay the same?